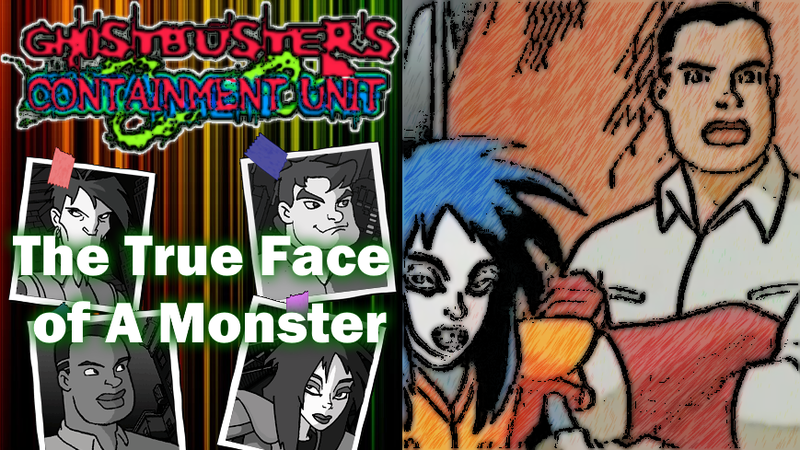 Next Saturday maybe Christmas Eve, but it's also the first night of Hanukkah... and so today, I'm taking a look at the Extreme Ghostbusters Episode 'The True Face of A Monster', whose story is actually pretty relevant today! 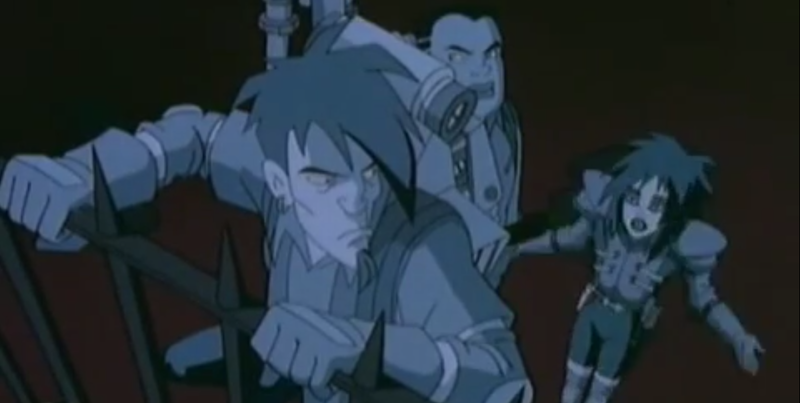 December 24th may be Christmas Eve, but it’s also the first night of Hanukkah, and while there was never a Real or Extreme Ghostbusters episode never featured the Hebrew Holiday, Extreme Ghostbusters did deliver a powerful episode touching not only on anti-Semitic attitudes, but the general idea of how stupid bigotry of any kind is. 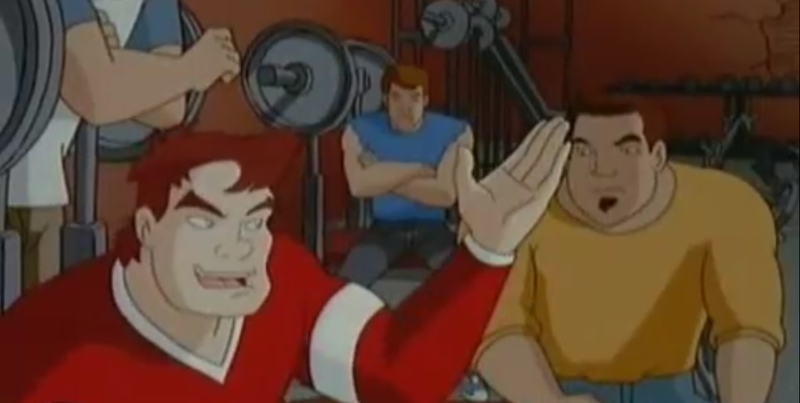 The episode is ‘The True Face of A Monster’, which first on September 3, 1997, and sees the ‘Beth Shalom Synagogue’ being vandalized by a couple of punks, who are attacked by a Golem, a mythical creature created out of clay to defend against anti-Semitic attacks, in fact the Golem in this episode is based on The Golem of Prague tale. 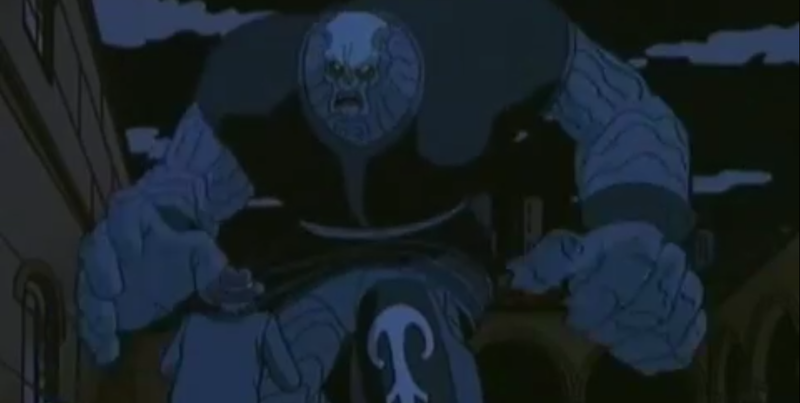 The Golem sends the punks to the hospital coated from head to toe in a mysterious clay that attacks anyone who tries to remove it from the victims. 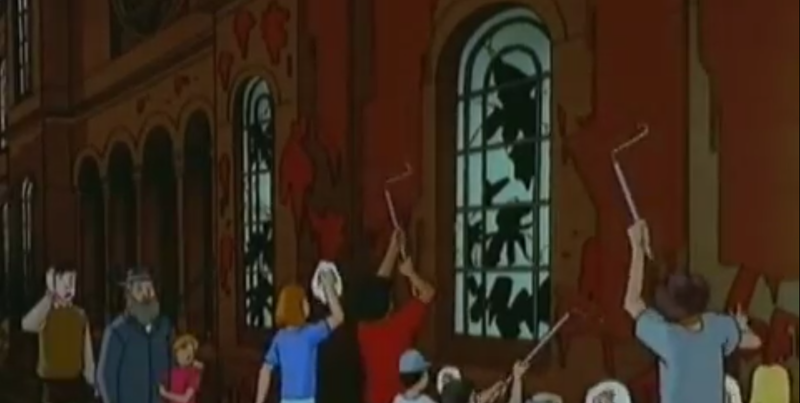 The Ghostbusters are brought in to investigate and check out the synagogue where the attack occurred. The Rabbi doesn’t want the Ghostbusters around investigating, particularly when they say they believe what happened to the punks was an act of the paranormal, but he rightfully points out that it was the result of hatred. 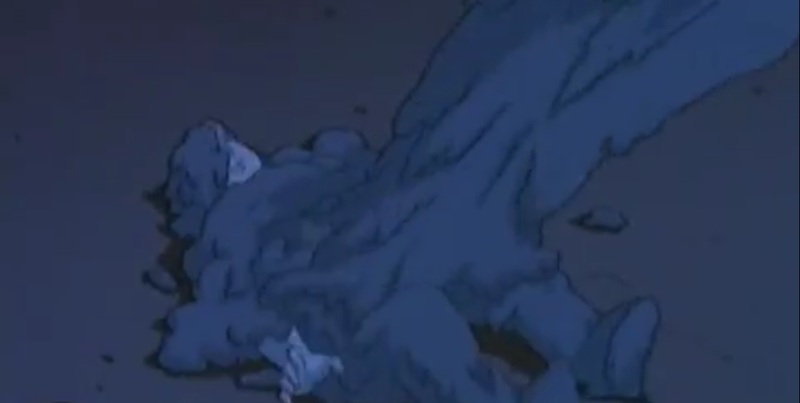 This comes across as a cover up, which leads to our heroes coming back to get a sample of clay after dark, and they are attacked by the Golem who escapes when they use their proton guns to fight back in defense. The Rabbi comes out, and he sees the scorch marks, thinking the Ghostbusters were vandalizing the Synagogue, but we then learn from his student / assistant that some scrolls arrived from Prague the previous week. 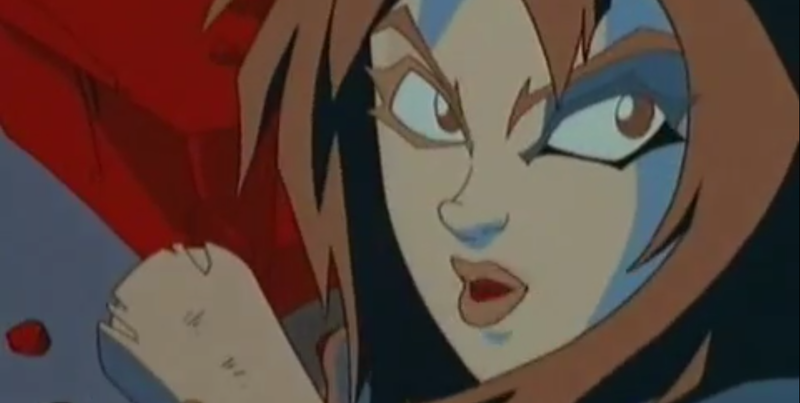 Kylie goes to investigated it at the Jewish Cultural Center, getting a quick summary of the Golem that it was created in times of hardship to protect a village but eventually became out of control and is told the only way to defeat Golem is to wipe out bigotry and hate a pretty tall order in 1997, and here in 2016... it’s still a tall order! 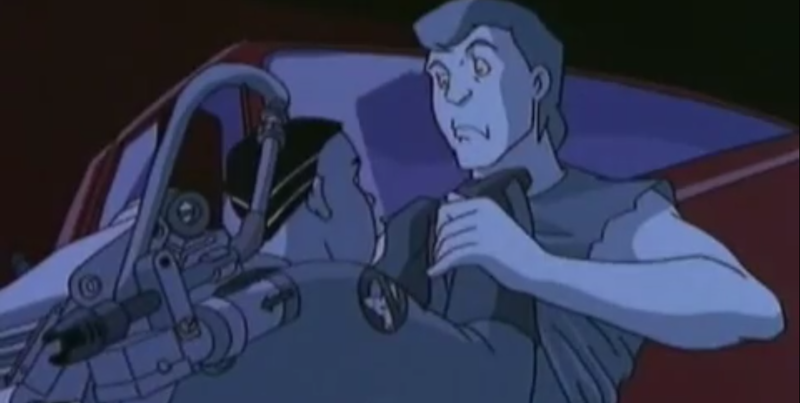 Now lets switch focus here on one of the Ghostbusters, who this episode revolves around a bit, Garrett, a, wheel-chair bound thrill seeker who is all about adrenaline and getting his blood pumping. He is not defined by his condition, but who he is. 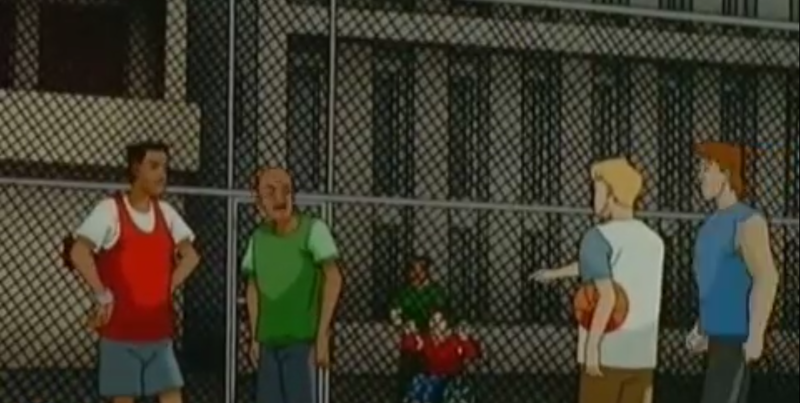 Early in the episode, he and Roland are passing by a basketball court, where one of the players recognizes Garrett and proceeds to use him to work a quick hustle, since Garrett is quite a skilled basketball player. The guy, Spencer, knows the type of person Garrett is and introduces him to his crew of mostly white-ish looking dudes... who all give Roland, a African-American the quote ‘we don’t want your kind around here look’, which not only presents them as hypocrites cause Spencer obviously accepts Garret despite his limitations and his crew also takes a shining to him. 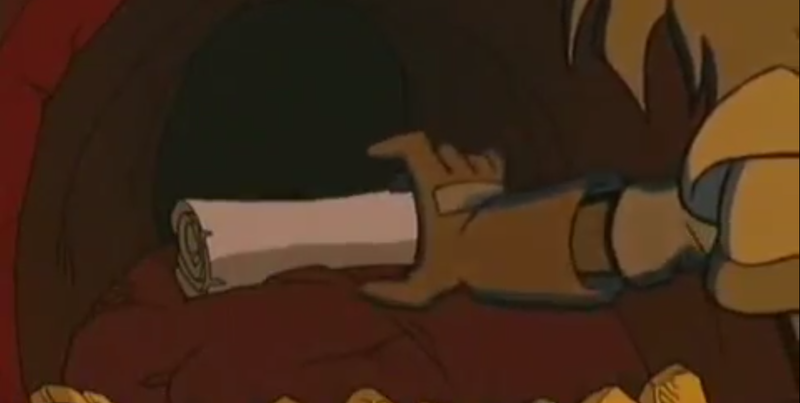 The reason why I’m pointing this out now is that Spencer and his guys are associates of the two jack asses that got a clay bath from the Golem at the start of the episode, and they actually think Garrett will be in on them going to the Synagogue for ‘revenge’. But the thing is, they accept Garrett for who he is as a person, despite his handicap but have issues with Roland because of his skin color and against those of the Hebrew faith for no really defined reason beyond I’m guessing basic antisemitism. 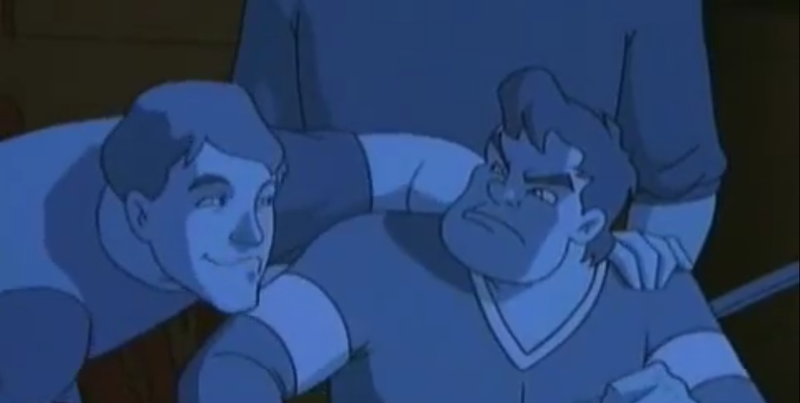 So getting back to the story, when Garrett realizes what’s going down he tries to stop it but Spencer turns on him, he and his buddies start to ransack the synagogue and then The Golem shows up to deal with them, clay-covering one as Spencer and another goon (named Trey) escape, clearly no honor among thevies. 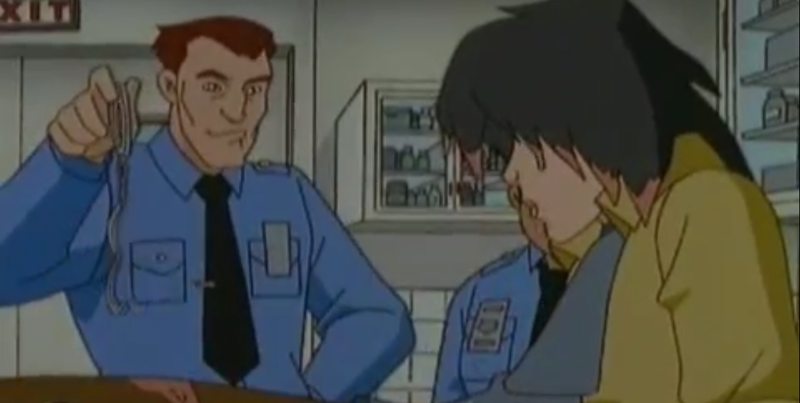 The Rabbi sees what is happening and tries to command the Golem to stop, but he’s attacked before the rest of the Ghostbusters arrive, hoping the rabbi knows how to stop it, but he didn’t even believe Golem existed. It turns out his student created the Golem to protect the synagogue and the Jewish community, but is smacked aside. 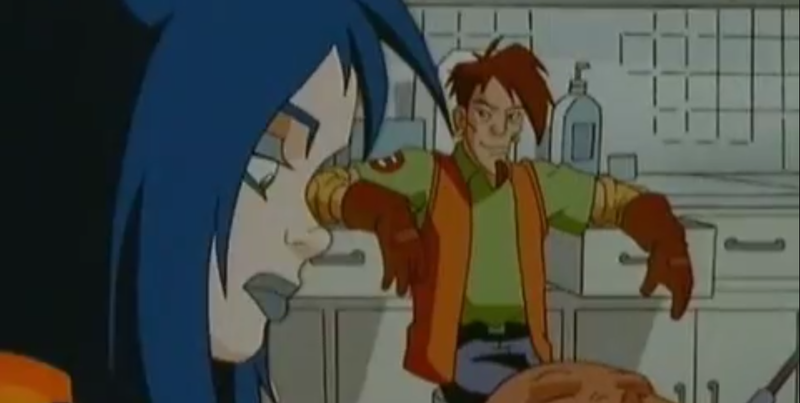 Garrett comes up with a plan of shooting the smelting vats to cook the Golem since it’s made of clay, it weakens his structural integrity, and when brought crashing down, Kylie grabs the shem (scroll) from its mouth to permanently stop it. 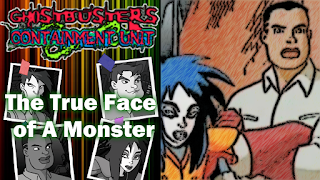 Spencer and his associates are arrested (those covered in clay are ‘freed’ as a gimmick associated with Extreme Ghostbusters is that when a ghost / demon is dealt with whatever they do is reversed. The episode end with the Rabbi destroying the shem and him stating the moral: Hate can not be fought with hate or violence with violence... too bad groups here in the United States these days don’t realize that. In fact it is amazing how many groups that have good intentions end up being the most hate-filled and violent! Hell just look at the number of riots over the past year! 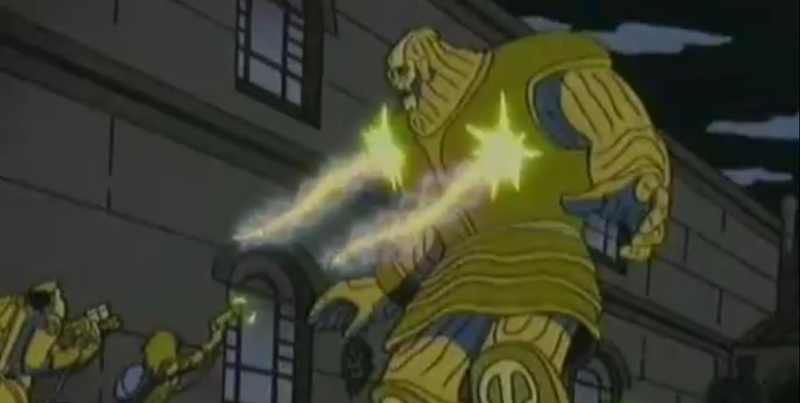 Anyway, this episode is without question a great episode but it has a couple of flaws in that it tries to tackle such a serious manner in a short amount of time, not easy, and the pacing kind of shows that, and the adapting the Golem of Prague story was a stroke of genius, the scene where Kylie is getting the history on the Golem is well done, ending with perfectly with the librarian line about how in theory one could stop the creature. The Rabbi’s anger and frustration really comes across well, and the gradual revelation of the truth, from it at first seeming like a cover up to someone just hoping to protect the community is nicely handled. Roland’s reaction to the look he got from Spencer & his associates gets some attention, and Roland does consider for a moment beating the tar out of one of them but decides it’s not worth it, leading into the Rabbi’s words that closed the episode. 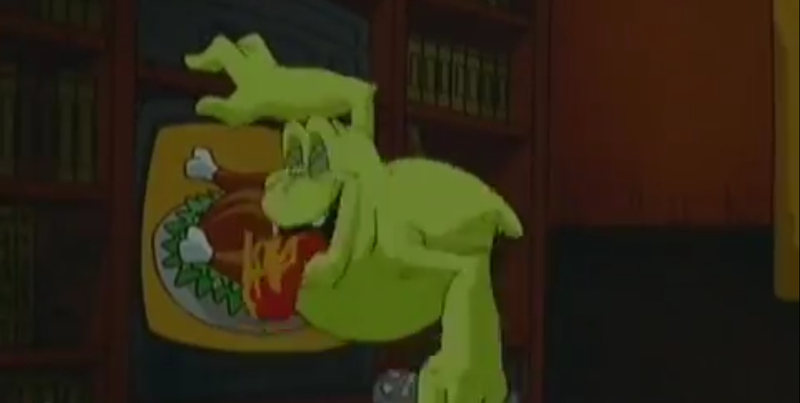 If you’ve never seen this episode of Extreme Ghostbusters I highly encourage you to seek it out. Also some interesting notes, while there isn’t a Beth Sholom Synagogue in Brooklyn, there is the Beth Shalom of Kings Bay, and the building from pictures I’ve seen online looks similar to the one seen in the episode. 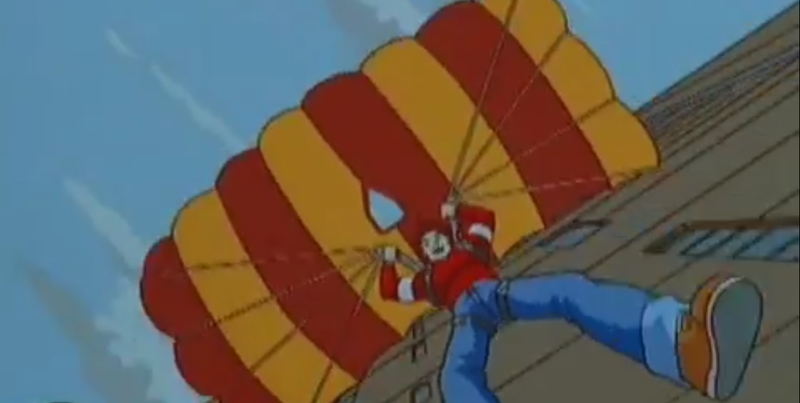 Next week, on Christmas Eve we’ll do something from The REAL Ghostbusters... where X-Mas Marks the Spot.